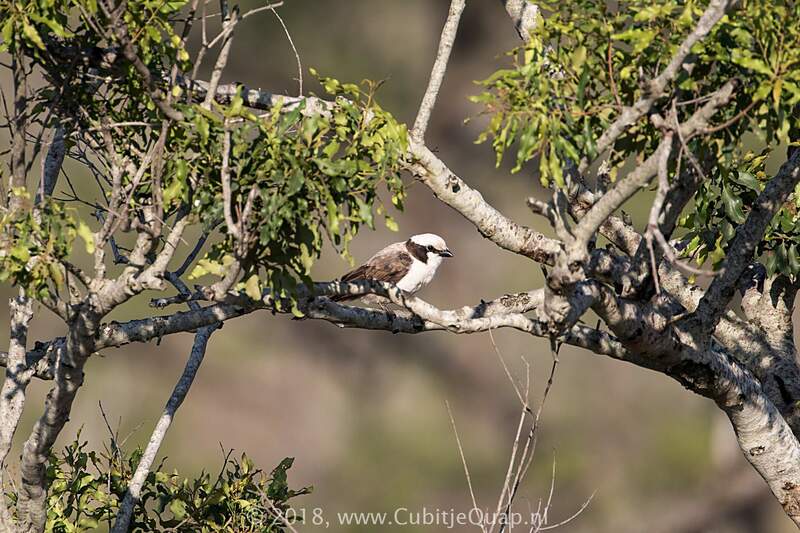 This large, robust bird is the only shrike in the region to have a white crown and forehead. The throat and breast are also white, while the belly and flanks are washed with buff. 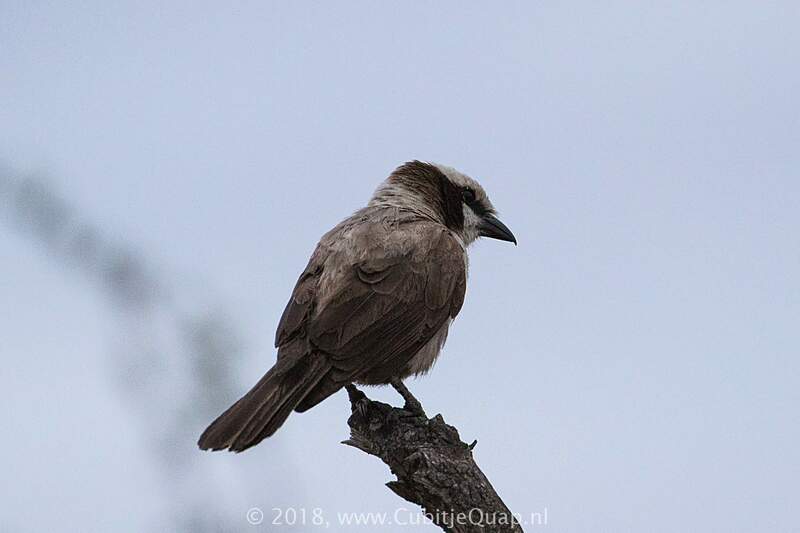 Extensive black ear coverts, grey-brown nape and back, and dark eye separate it from Southern Pied and Bare-cheeked Babblers. Gregarious, it usually occurs in groups of five or six birds. 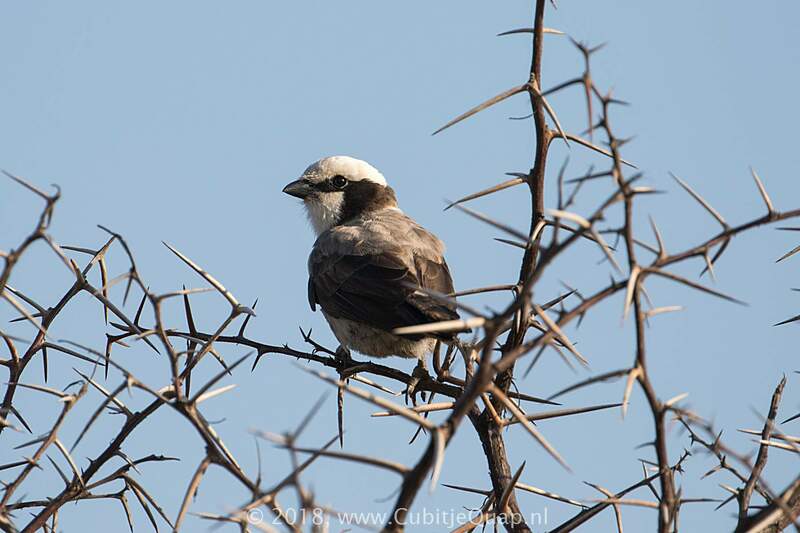 Juvenile is paler than adult, with a mottled crown. Mixed dry woodland and thornveld. A shrill whistling 'kree, kree, kree', bleating and harsh chattering.